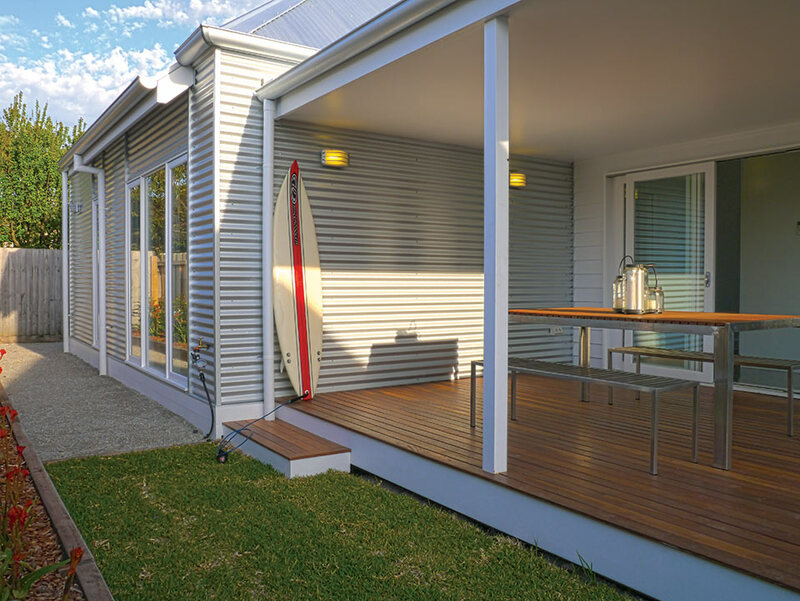 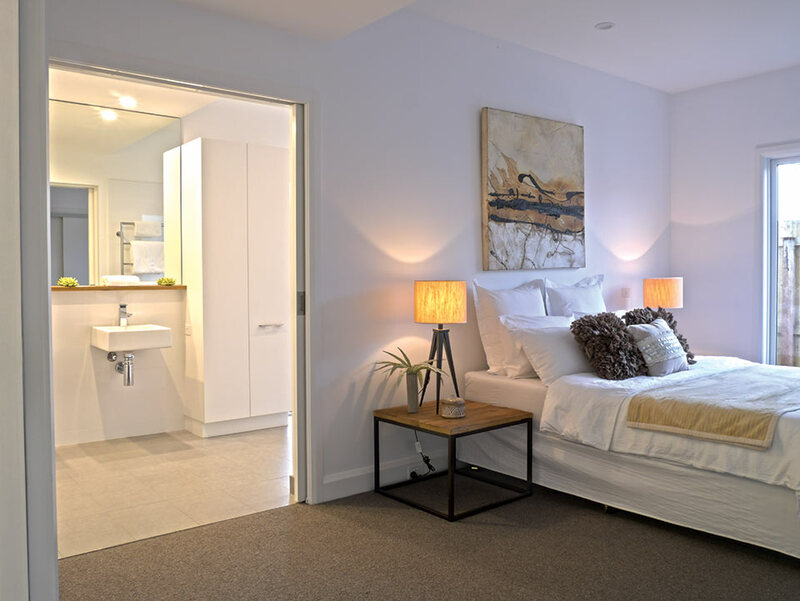 A Queenscliff Fisherman’s Cottage with a contemporary edge in the design was the brief from our client’s with ample space to entertain indoors and out and in addition to make the home as energy efficient as possible. 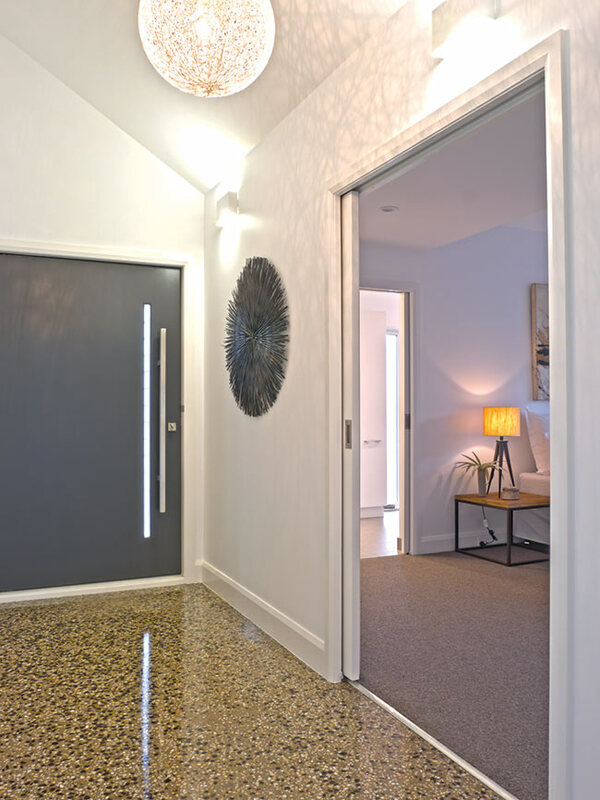 We certainly achieved this with a 7 Star Energy rating! 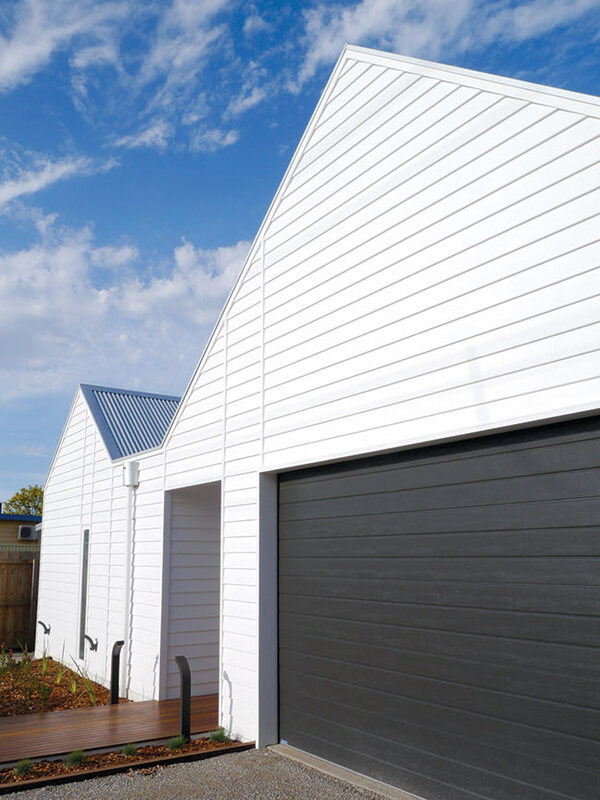 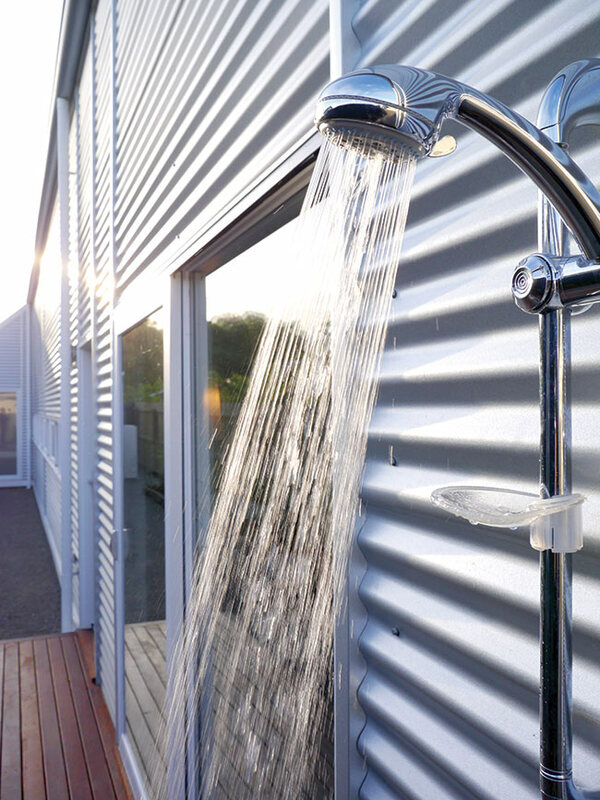 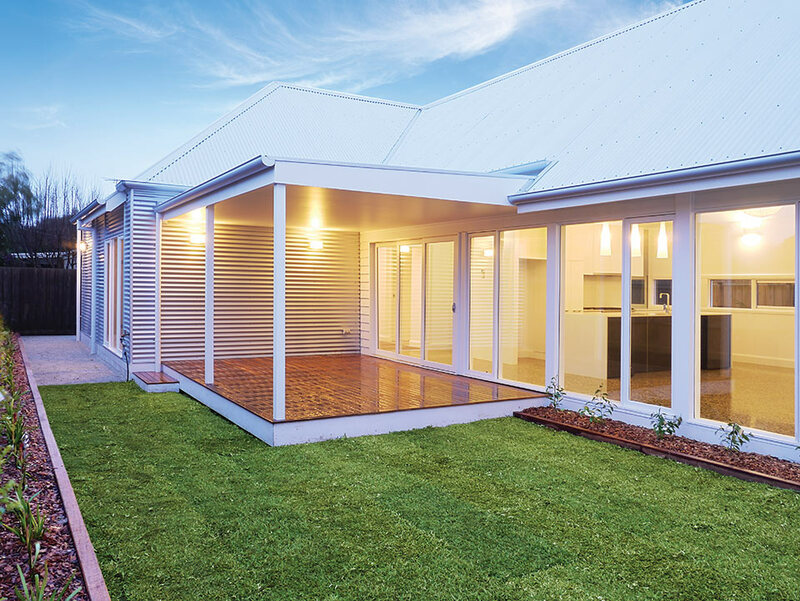 The home’s traditional weatherboard look exterior was achieved by using CSR Linear Board on the front façade while the rear of the house was clad in horizontal Zinc Alum with painted timber windows. 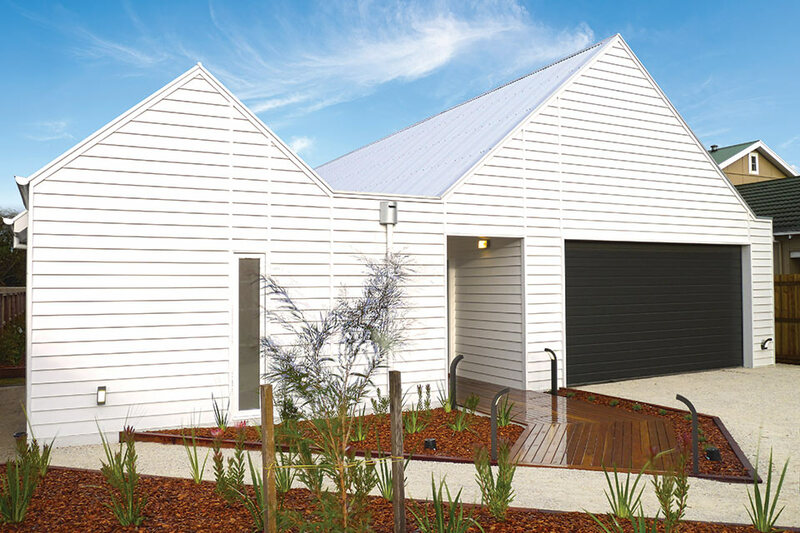 The high pitched roof and minimalist design belies the open plan home within. 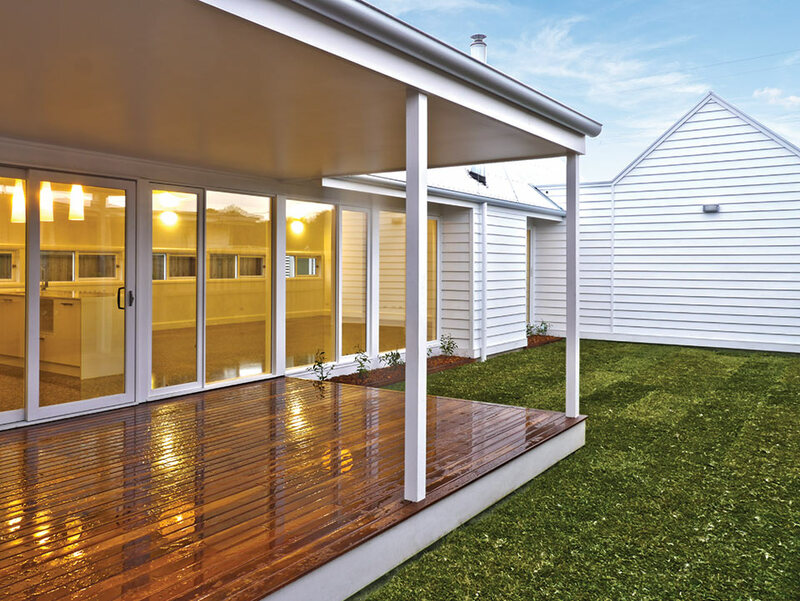 The front entrance with its timber pontoon and natural landscaping all add to the nautical feel. 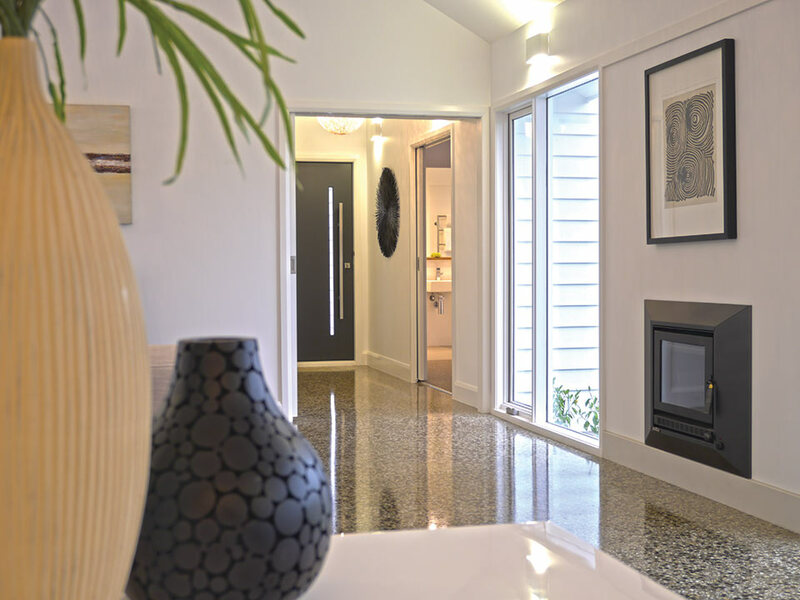 The 7 Star Energy rating was achieved by installing high density insulation under the roof in the ceiling and in all external walls. 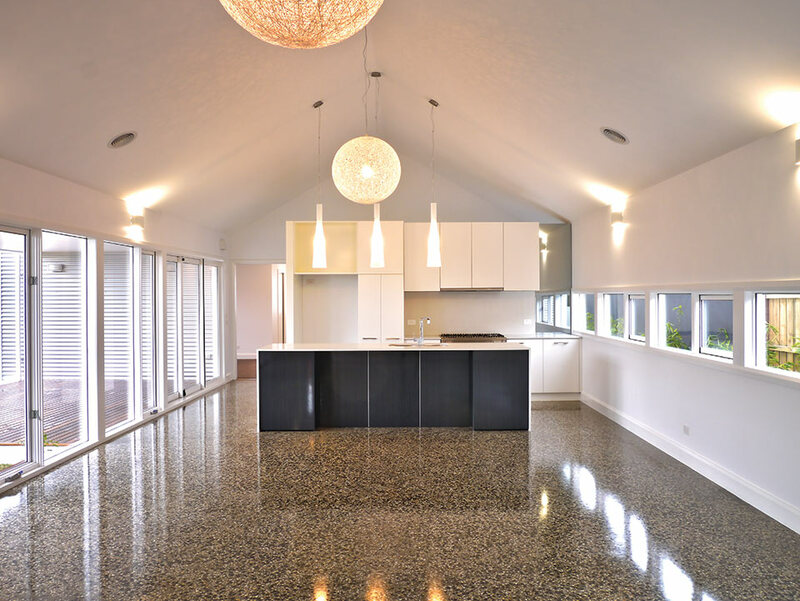 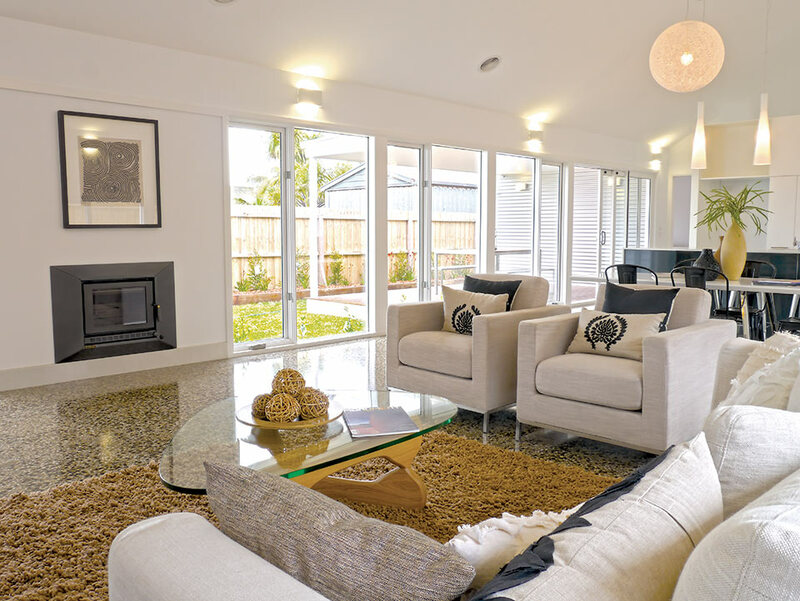 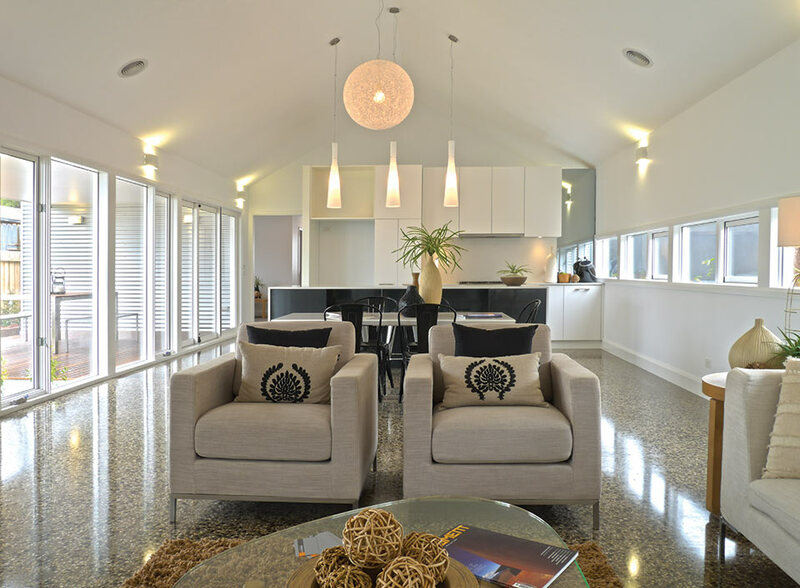 The polished concrete floor throughout the main living areas attract the heat from the north facing floor to ceiling windows and act as a thermal mass. 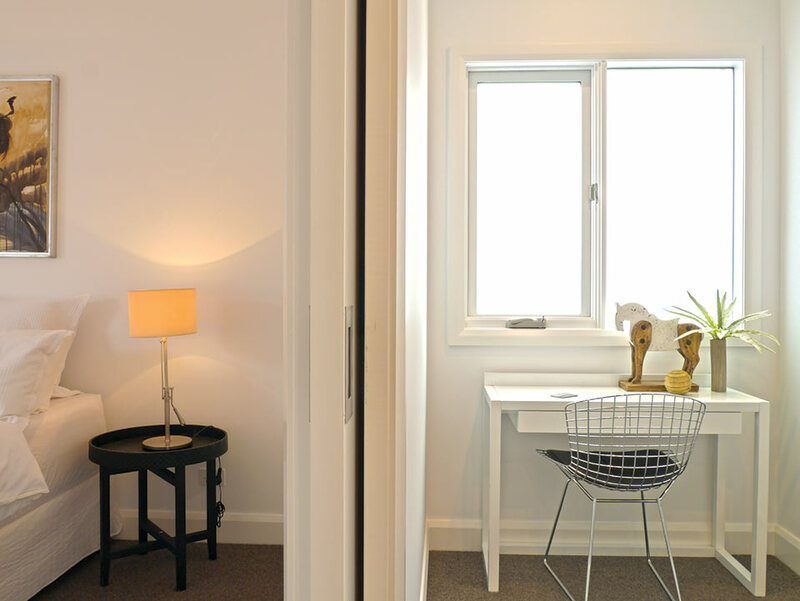 All windows and doors are painted timber with double glazing. 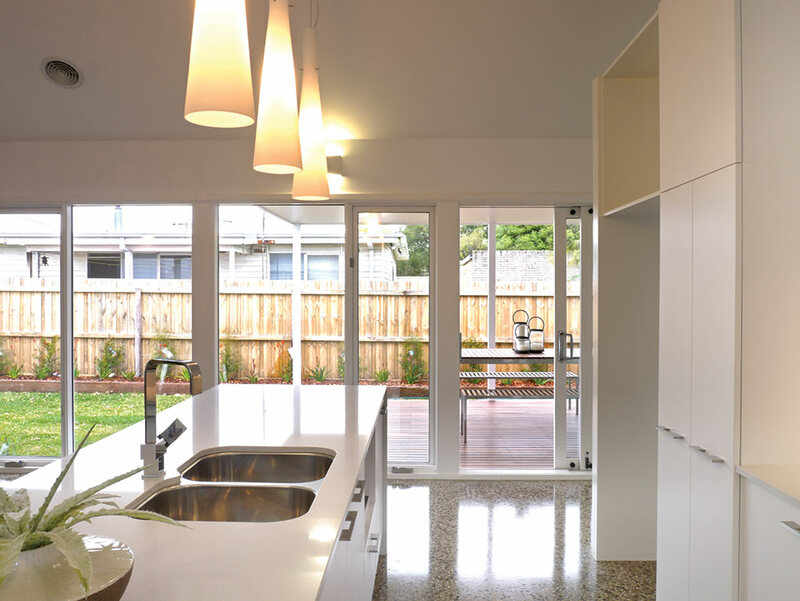 The main kitchen/living and dining rooms has a high pitched roof with floor to ceiling windows facing north creating an open light and airy feel. 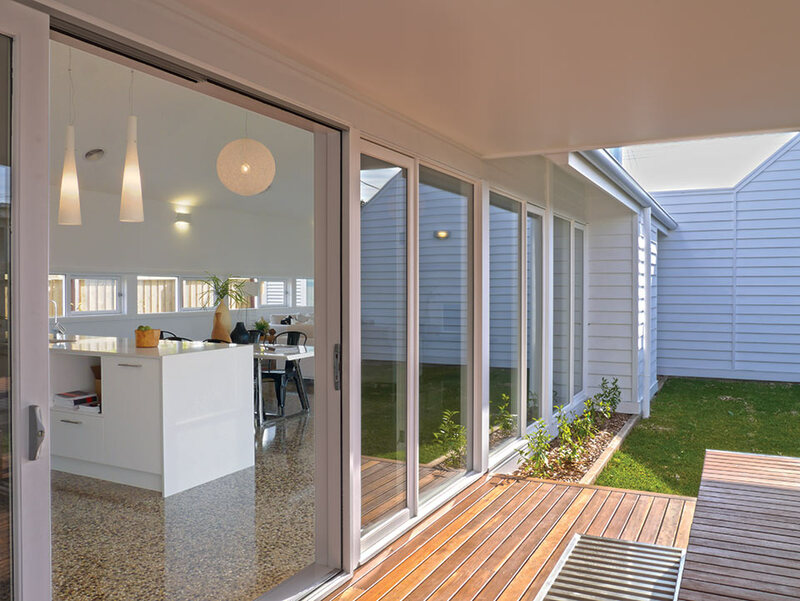 An outdoor barbeque are on a north facing deck is easily accessible from the kitchen. 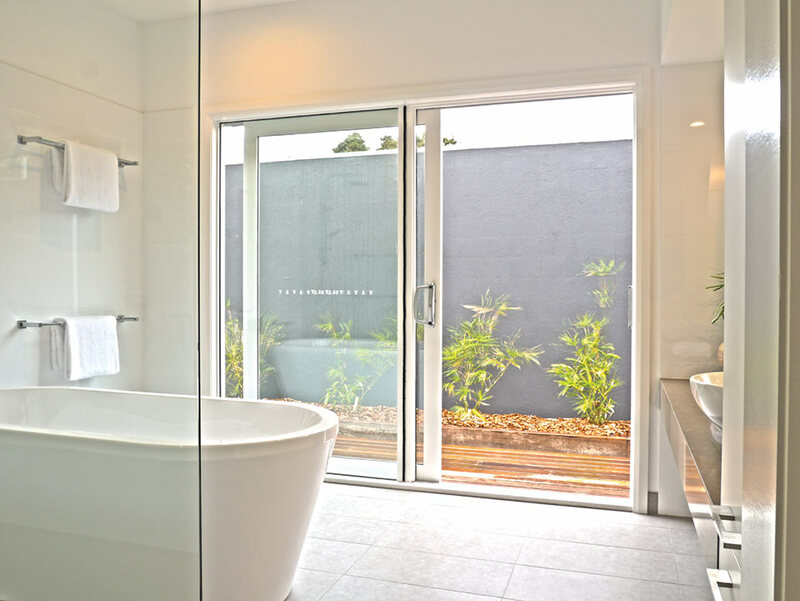 The beautifully tiled bathroom, has glass doors that open onto an outside deck. 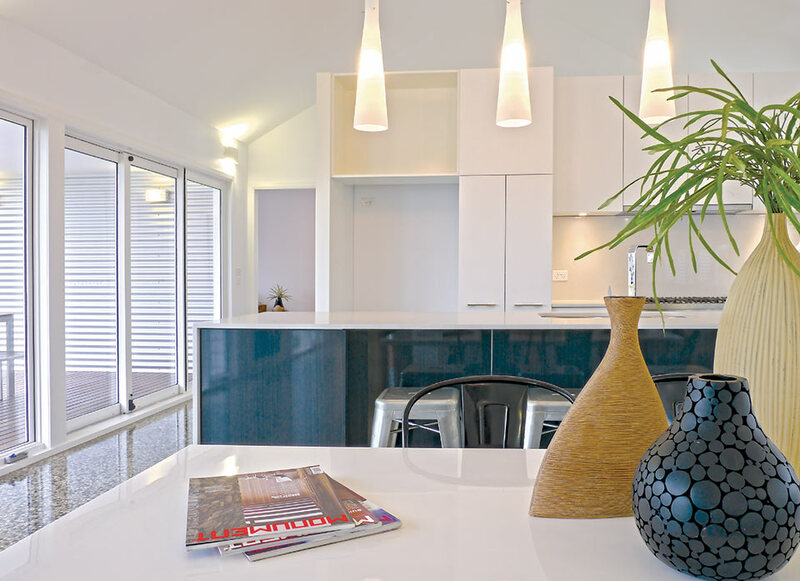 The granite benchtops throughout add a touch of class as do the feature pendant lights. 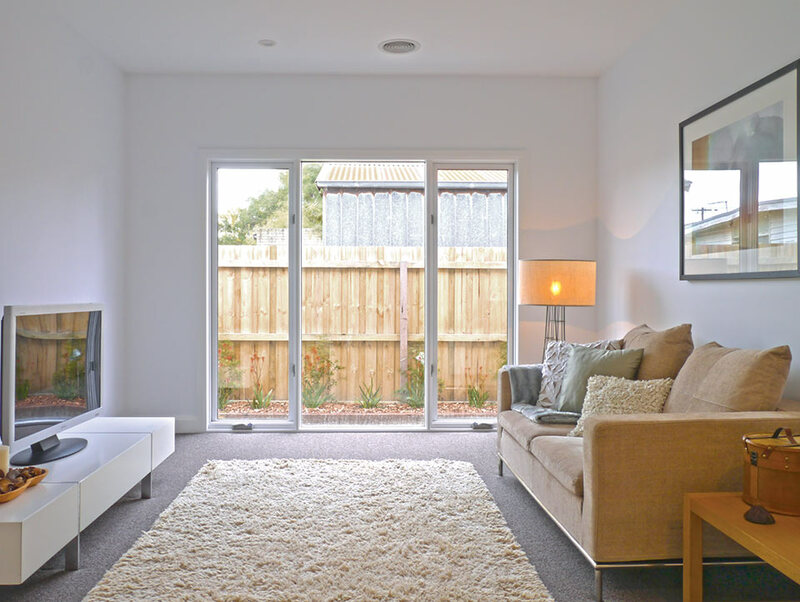 Huge cavity door separating master suit from the living area of the home.